This is the replacement cartridge for the 6 month SLOW PHOS salt-free conditioner (EQ-SS20). Does not replace the 2 year SCM or NAC salt-free conditioners for tankless water heaters. SimplySoft Salt-Free Water Softener Replacement is rated 4.1 out of 5 by 41. 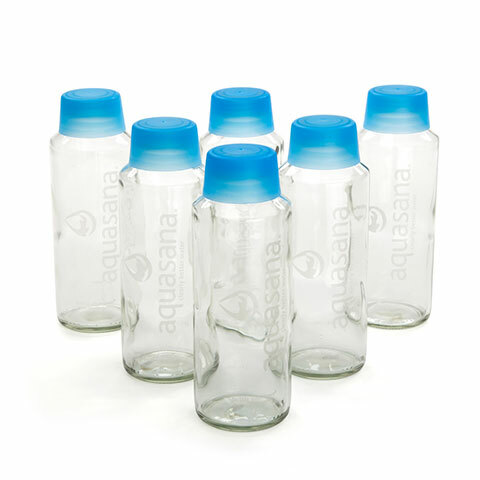 Aquasana SimplySoft This technology will not demineralize your water by chemically removing minerals from your water nor will it put excess salt waste into our environment. Gently and naturally conditions water using innovative salt-free water conditioning SLOW PHOS technology designed to prevent scale formation and protect from corrosion. Easy replacement of water conditioner cartridges without the need for a plumber. Cartridges need to be replaced every six months or 50,000 gallons. If you are looking for the replacement cartridge for the EQ-AS20 2 year SCM or NAC salt-free conditioners for tankless water heaters, please click here. If you are looking for the replacement tank for the EQ-AST-WH 6 year SCM or NAC salt-free whole house conditioners, please click here. Aquasana SimplySoft uses innovative SLOW PHOS salt-free water conditioning technology to naturally descale your water and protect your pipes from corrosion without the use of added sodium. As its name implies, SLOW PHOS uses food grade polyphosphate beads engineered to dissolve at a controlled (or "slow") concentration to effectively target scale producing hard mineral carbonate crystals including calcium, magnesium, and barium (Ca, Mg, and Ba). SLOW PHOS technology works by altering the ionic charge of these carbonate crystals to reduce their attraction to one another in your water. By altering their ionic charge, hard minerals will no longer clump or pack together and create scale (Ca, Mg, and Ba buildup). In addition, SLOW PHOS phosphates act as a protective barrier in your plumbing to protect from pipe corrosion. 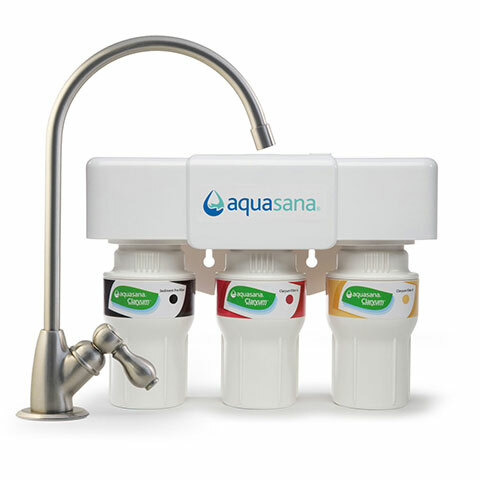 Unlike salt-based water softeners, Aquasana SimplySoft SLOW PHOS technology will not demineralize your water nor will it negatively affect the environment by adding excessive amounts of sodium into our communal water system. 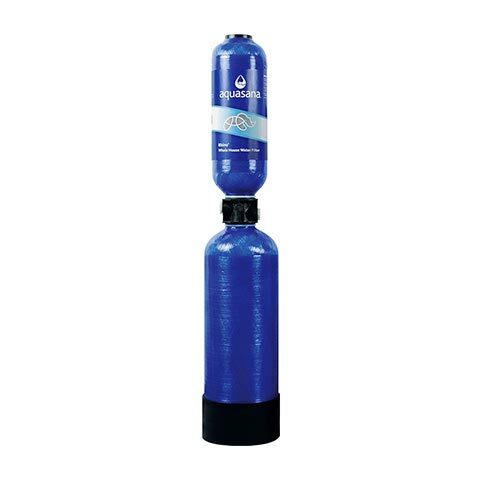 Rated 5 out of 5 by NJLM from Aquasana soft water filter Performs very well and endures in service for the full length of time allotted in design. We are pleased to have soft water in a very hard-water environment. Rated 5 out of 5 by HARD WATER from WORKS GREAT I HAVE VERY HARD WATER OUT OF WELL. THIS FILTER DOES WHAT THEY SAY. WHEN IT TIME TO REPLACE AND PUT A NEW FILTER ON, YOU CAN REALLY TELL DIFFERENCE. Rated 5 out of 5 by Pat A. from Great choice This is so much easier to change then adding salt every few weeks . One filter every 6 months --- EASY !!!! Rated 5 out of 5 by Rich from Great Salt-Free Water Softener This salt-free water softener provides a very effective solution to hard water provided by city or community well providers. The results are truly outstanding. The product is easily installed and negates the need for the addition of salt products on a regular basis. It works very well and lasts at least a year. Rated 5 out of 5 by Geno from Used for 3 years and are very happy We have had the whole house filter system in 2 houses. Second house has softener system and we are very pleased. 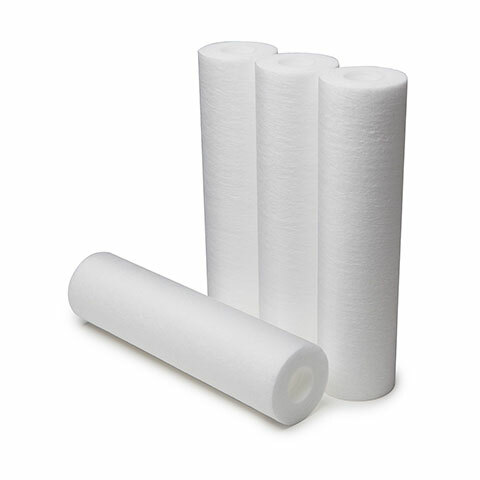 What is the process of replacement for the water softner system? How many do you need to buy a year, etc? Other costs?? I have a EQ -400 whole house system. Please tell me what kind of softener I need to buy to replace the old one that I have been using more than a year. Thank you. can i use the replacement filter in any 20&quot; housing ? or is the filter special made for just this one ? What is the gallons per minute flow rate?